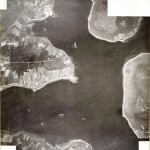 The threat from air attack became starkly apparent on 17th October when two air raids were carried out on elements of the Fleet in Scapa Flow. These were some of the first bombing raids on the UK during WWII and occurred just one day after Junkers Ju-88 aircraft of Stab 1, Kampfgeschwader 30 (I/KG30) inflicted damage on HMS Southampton, Edinburgh and Mohawk in the Firth of Forth (Taylor, L., 2010 p.9). 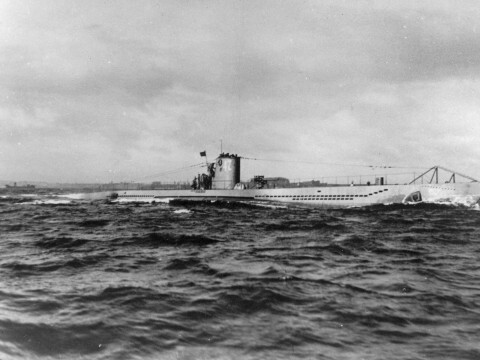 With Adolf Hitler’s Directives on the Conduct of the War still restricting the Luftwaffe from attacking land-based targets or docked warships (Trevor-Roper, H., 1964 p.5-13), potential bombing objectives in Orkney were limited as Scapa Flow remained relatively empty following the sinking of HMS Royal Oak. When an armed reconnaissance flight of I/KG30 appeared over the anchorage on the morning of the 17th, the largest target of opportunity to be found was HMS Iron Duke. This battleship of WWI vintage was moored at the mouth of Ore Bay near Lyness where she was serving as a transit accommodation & Fleet Mail ship as well as the headquarters for the Admiral Commanding Orkney & Shetland (ACOS) and his staff (TNA: ADM116/5790 p.80). 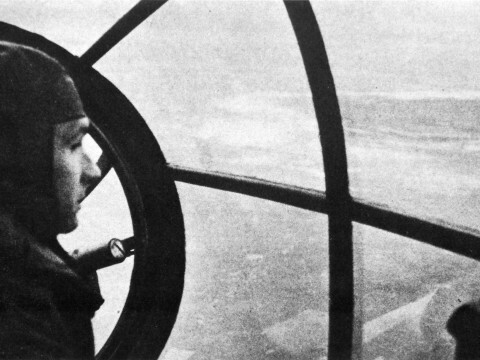 226 Battery opened the defence as the new, fast German medium bombers dived on the Iron Duke. 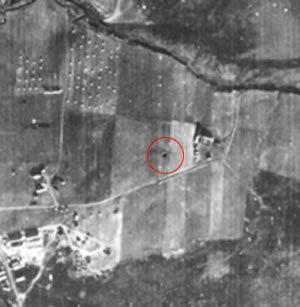 The gunners at the Rysa battery succeeded in hitting one of the aircraft which crashed near Pegal Burn becoming the first German aircraft to be shot down by anti-aircraft gunfire and crash on British soil during WWII (Hewison, W., 2000 p.232). 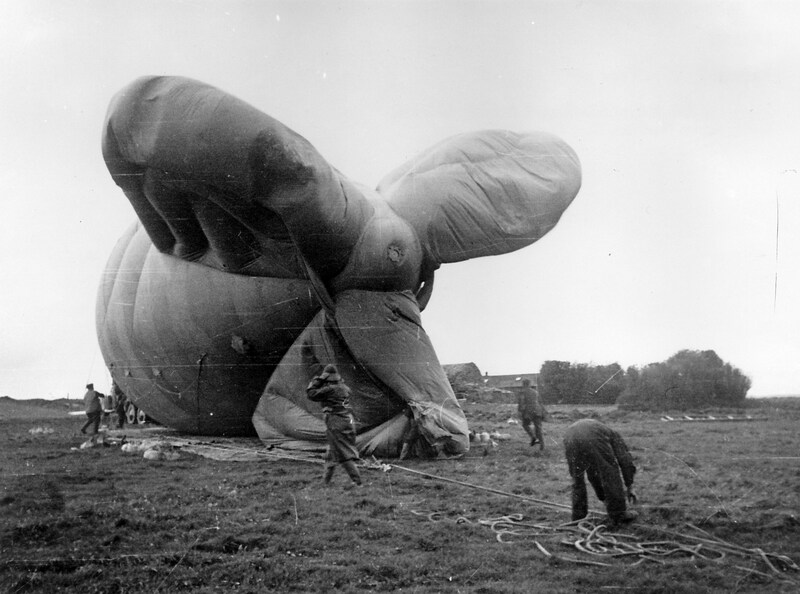 Despite 226 Battery’s best efforts, many of the aircraft succeeded in releasing their bombs over the target and although many fell short, by the end of the second raid the ship had received extensive damage and had to be beached in Ore Bay to prevent her from sinking entirely (TNA: ADM116/5790 p.81). 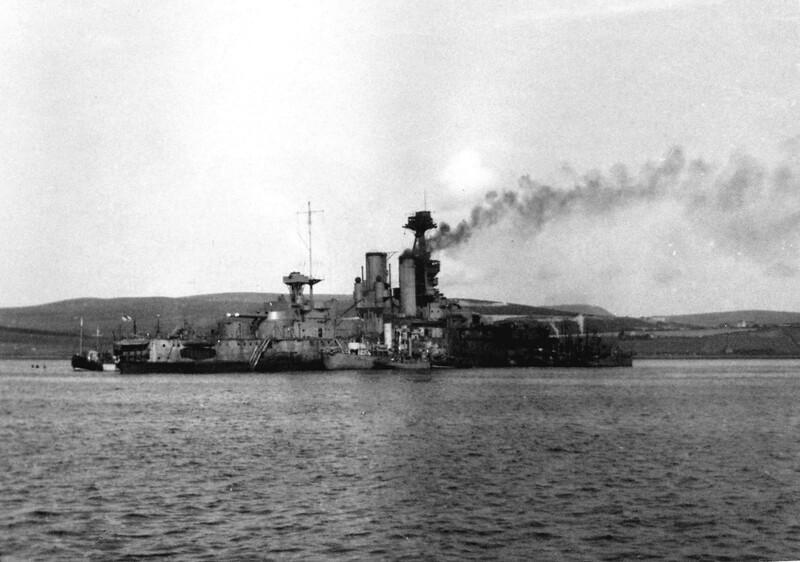 This raid had a significant impact on the nature of the British Navy’s presence on Hoy as the bombing of HMS Iron Duke highlighted the dangers of having so many critical departments housed aboard moored ships. 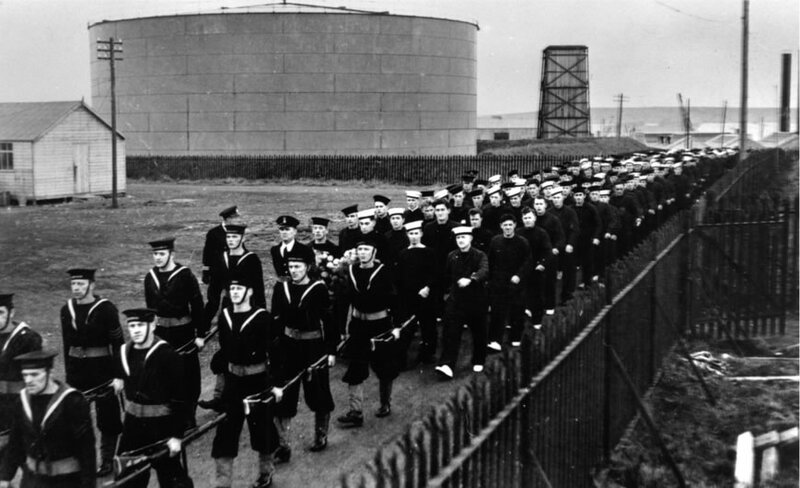 The movement of personnel to the shore led to a greater expansion of the Lyness Naval Base which had by now become commissioned as the land-based ship HMS Proserpine. Following the attack on HMS Iron Duke, ACOS and his staff moved ashore, eventually settling into offices at Head of Right (HY25) where all matters concerning the Home Fleet base as well as Shetland and Scrabster in Caithness were coordinated from (TNA: ADM116/5790 p.27). 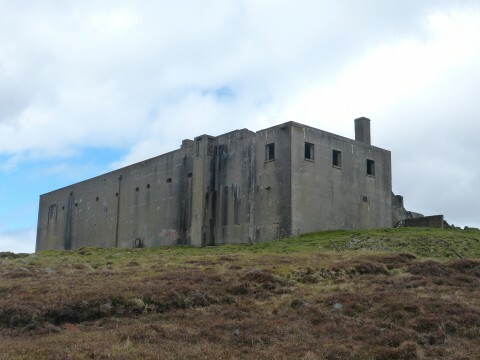 All communications from the Admiralty in London or to and from the Fleet also moved ashore and went through a single telephone exchange on the Lyness base (NMRS: ND39SW 135) until 1943 when the custom built splinter proof communication centre was completed at Wee Fea (NMRS: ND29SE 2). One of the many bombs that failed to find its target on HMS Iron Duke was reported in various war diaries as having fallen in a field near to the HAA battery at Ore (TNA: WO166/1234 & WO166/2507). These accounts, combined with Civil Defence reports would suggest that this bomb was the first to have fallen on British soil during WWII (Doyle, P. 2010 p.9). 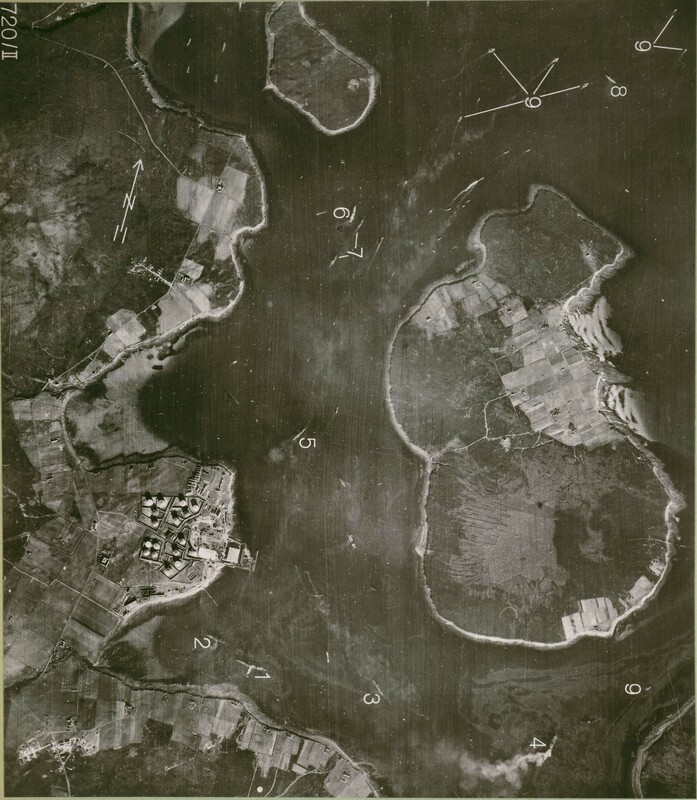 Although bombs were dropped during the raid on the Firth of Forth the previous day, all were aimed at ships in the Forth estuary and as a consequence none are known to have fallen on land. 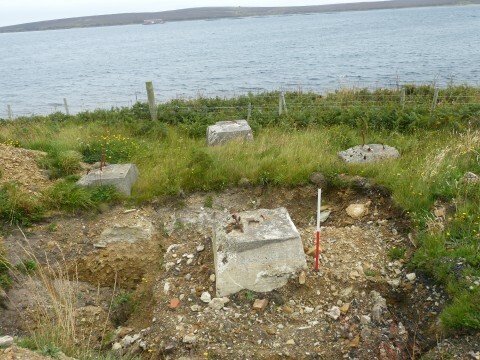 Four bombs that fell next to a cottage near Sullom Voe in Shetland on 13th November 1939 have been claimed as the first to fall on British soil (Ramsey, W., 1987 p.48). 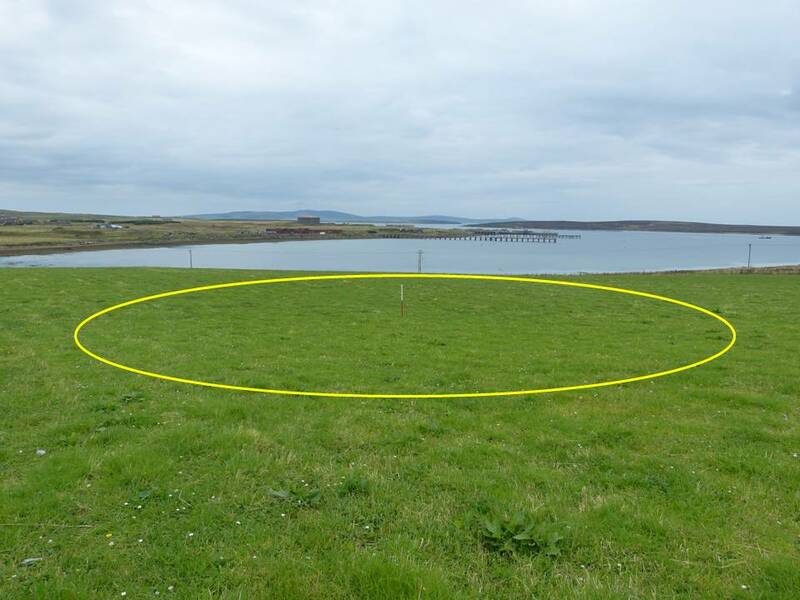 However, the war diary sources plus cross examination of Luftwaffe aerial photographs taken of Hoy dated 2nd October and 18th October confirm the presence of a bomb crater in a field near the house of Orraquoy that predates the Shetland examples. 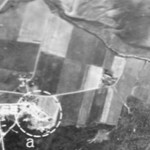 An archaeological walk over survey of the fields around Orraquoy identified a faint circular depression (HY56) at the approximate bomb crater location marked on the aerial photographs. 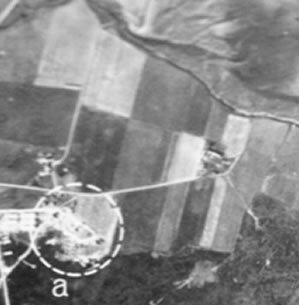 Further intrusive archaeological investigation may yield more substantive evidence but the research carried out thus far would indicate HY56 to be the site of the first bomb to fall on British soil during WWII. Lack of available fighter protection, teething troubles with Radio Direction Finding (RDF) and the combined losses of HMS Royal Oak and HMS Iron Duke were sufficient evidence to persuade Churchill to order the abandonment of Scapa Flow as a viable Fleet Base until such times as it could be made fully secure (Roskill, S., 1954 p.78). Two months into the war, Raeder’s strategy was showing every sign of success. Not only had Hitler granted clearance for the attack of naval units in naval bases as part of Directive 7 (Trevor-Roper, H., 1964 p.15) but the British Fleet had now become divided making it less effective and easier to attack. 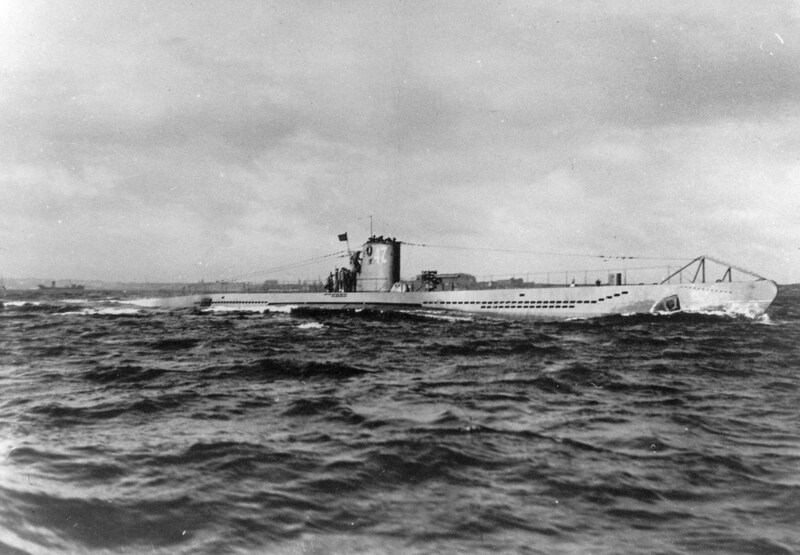 With the Home Fleet pushed back to more southerly bases across mainland Scotland, Britain lost the strategic position that Scapa Flow afforded for countering German fleet movements, enforcing the contraband control measures on neutral merchant shipping and maintaining the Northern Patrol across the entrances into the North Atlantic (Roskill, S., 1954 p.77). 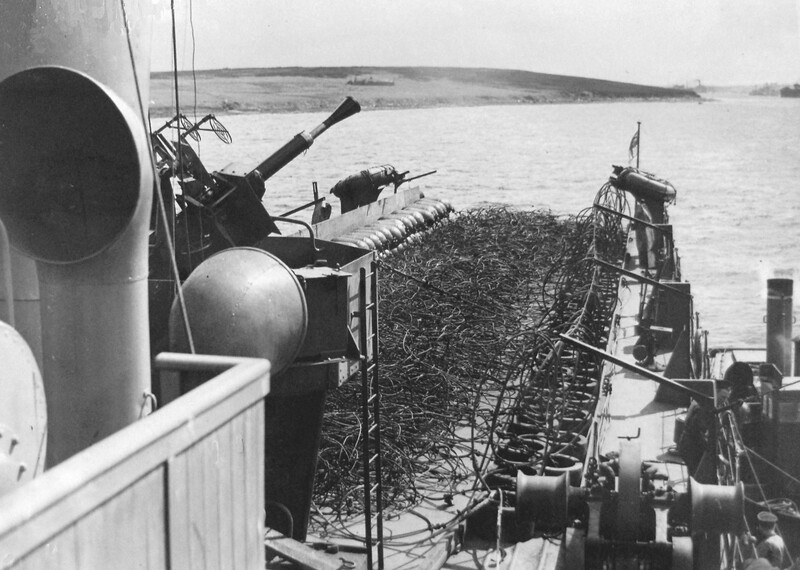 Work to realise the Q & R Plans and strategically retake Scapa Flow continued through the harsh winter of 1939 and into 1940 with defences deemed sufficiently improved for the Home Fleet to return on 8th March. The arrival of such a large number of major capital ships in the first week of March did not go unnoticed by the Luftwaffe. 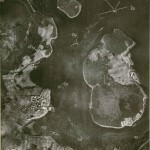 Monthly reconnaissance sorties flown throughout the winter had monitored the gradual transformation of Orkney into a fortress and now, 8 days after the Fleet’s return, the campaign to push the British Navy back out of its strategic anchorage recommenced. 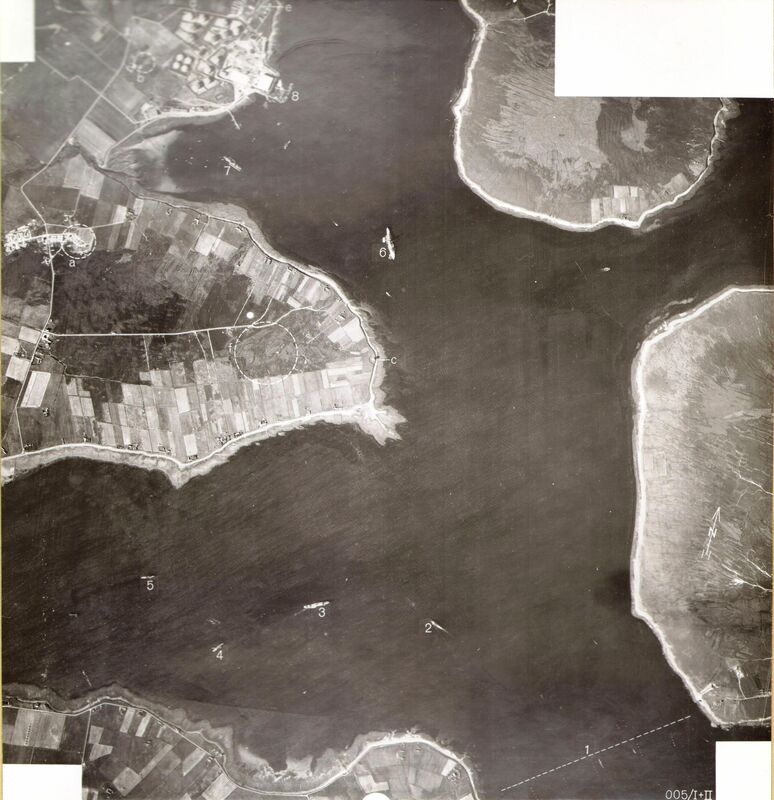 British intelligence reports record the air raid that took place at dusk on 16 March as one of the best planned attacks made by the Luftwaffe on Scapa Flow (TNA: WO166/1234). 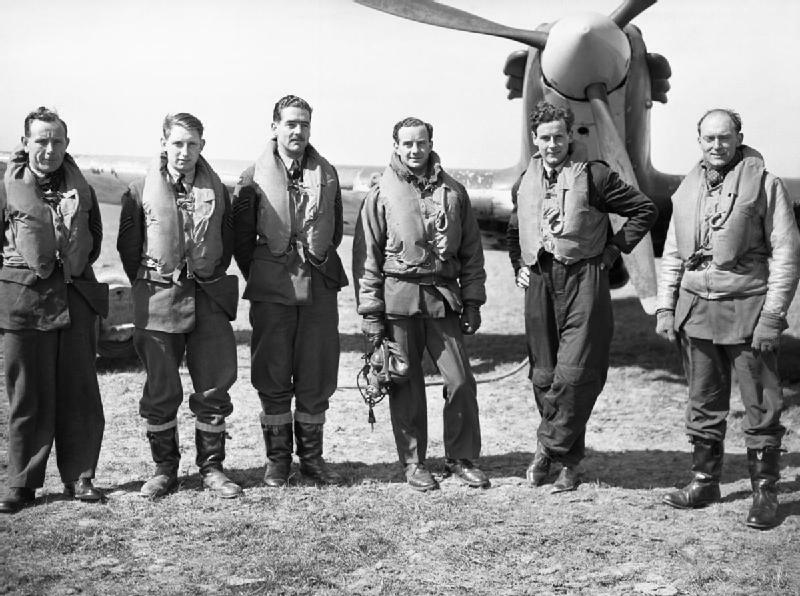 It was during this raid that 27 year old James Isbister became the first civilian to be killed in an air raid on Britain during WWII. Heinkel He-111 medium bombers of I/KG26 carried out one of the first attacks on British land targets in WWII during this raid and were accompanied by Ju-88’s I/KG30 who dive bombed ships of the Fleet (de Zeng IV, H. & Stankey, D., 2007 p.75 & 116). 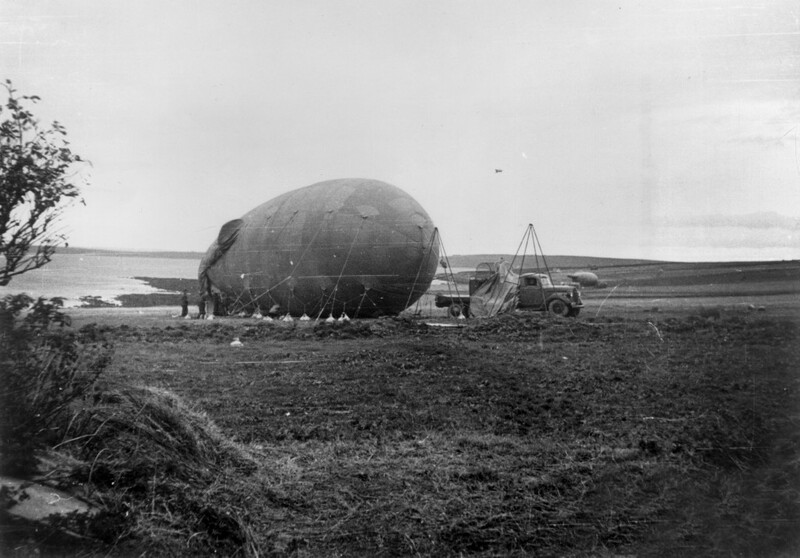 On Hoy, storms the previous day had grounded all but one of the barrage balloons which would normally have forced hostile aircraft to higher, less accurate bombing altitudes (TNA: WO166/1234). The newly installed Vickers Mk VIII light anti-aircraft (LAA) guns intended to engage diving aircraft either jammed, traversed too slowly to keep pace with the targets or spoilt the gunners aim with the bright muzzle flash (ibid.). 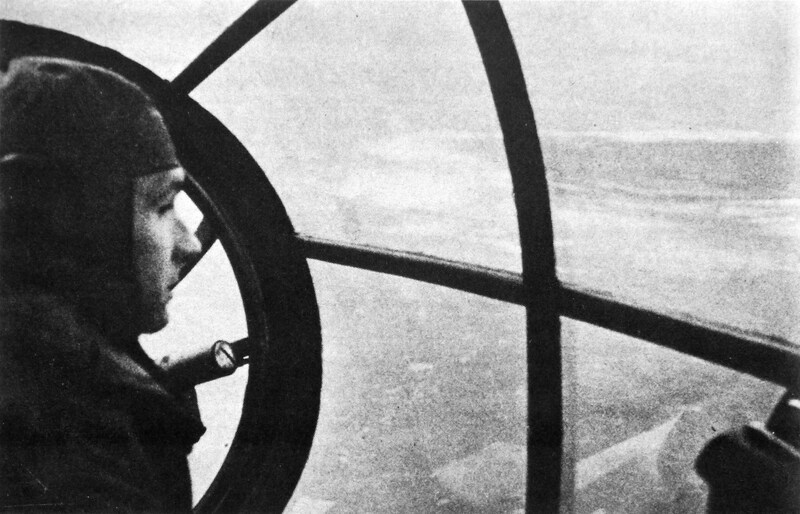 The Chain Home Radar system was also found to be ineffective offering insufficient warning for the two frontline RAF fighter squadrons stationed at Wick to intercept the bombers. A more localised gun laying radar system proved partially effective for directing anti-aircraft gun fire and Hoy’s HAA batteries assisted in forming a 52 gun barrage of exploding shrapnel in the path of the high altitude He-111’s (ibid.). Despite this, the defences failed to bring down a single aircraft whilst the Luftwaffe succeeded in inflicting damage on the Royal Naval Air Station at Hatston and the cruiser HMS Norfolk (TNA: ADM116/5790 p.407). 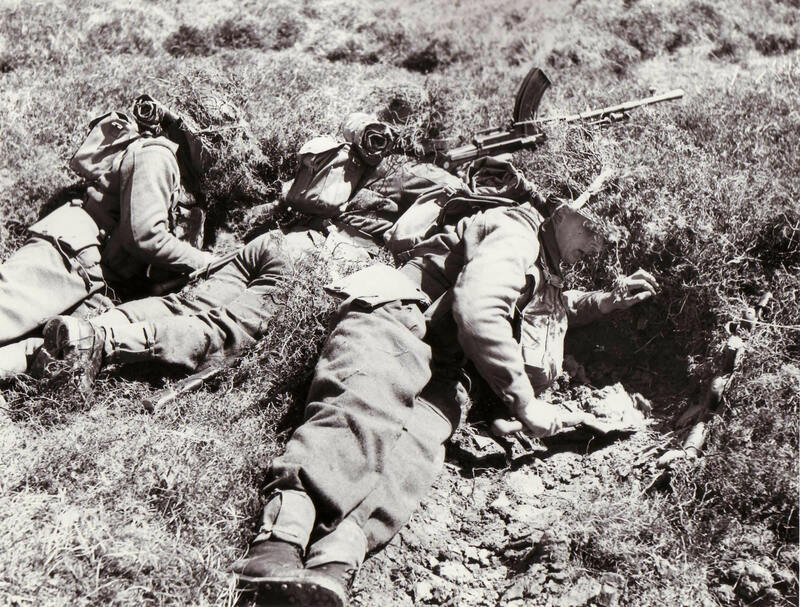 The 16th March raid was a rude awakening for the fledgling Orkney defences and steps were quickly taken to rectify the problems that had been encountered. Replacement of the Vickers Mk VIII guns sighted on Hoy was slow with the first of the more effective 40mm Bofors guns arriving in February 1941. 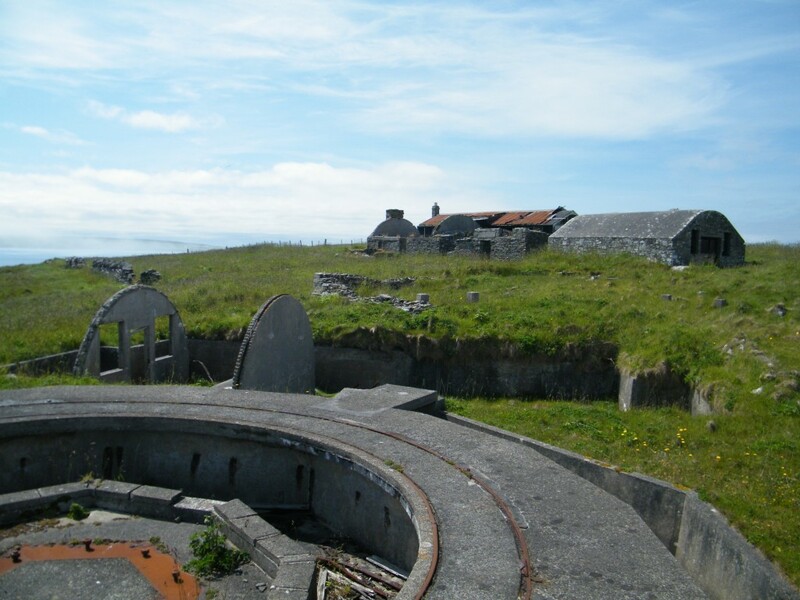 As a consequence of the replacement programme few examples of the early Vickers emplacements survive. 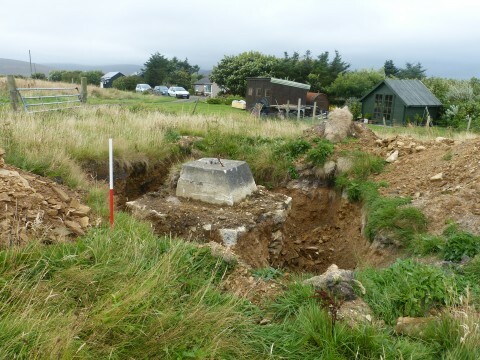 Two sites have been identified on Hoy where the mounting bolts of the early Vickers guns remain (HY69 & 74). 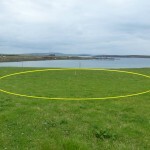 Although these sites are not in excellent condition, they form an important link to the early development of the Orkney defences and the battle for the strategic harbour of Scapa Flow. DOYLE, P., (2010). ARP and Civil Defence in the Second World War. Oxford: Shire Publications. DE ZENG IV, H. & STANKEY, D. with CREEK, E., (2007). 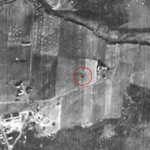 Bomber Units of the Luftwaffe 1933-1945: A Reference Source. Volume 1. Hinkley: Midland Publishing. HEWISON, W.S., (2000). The Great Harbour Scapa Flow. 4th Edition. Edinburgh: Birlinn Ltd.
RAMSEY, W.G., (ed), (1987). The Blitz Then and Now: Volume 1, From Phoney War to Total War, September 1939-September 1940. London: Battle of Britain Prints International Ltd.
ROSKILL, S.W., (1954). The War at Sea 1939-1945. Volume 1: The Defensive. London: HM Stationary Office. TAYLOR, L., (2010). Luftwaffe Over Scotland. Caithness: Whittles Publishing. TREVOR-ROPER, H.R. 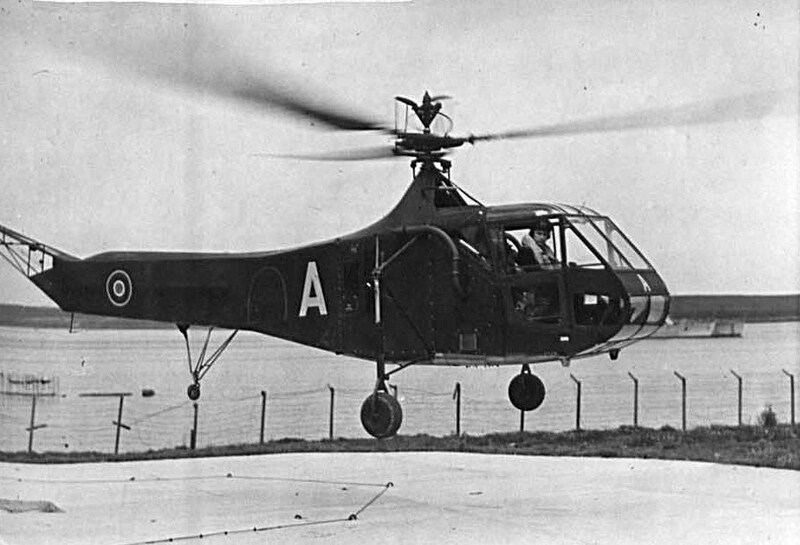 (ed), (1964). The Hitler Directives 1939-1945. London: Sidgwick and Jackson. THE NATIONAL ARCHIVES OF THE UK (TNA), (1939-1940). WO166/1234 Orkney & Shetland Area, OSDef War Diary. Unpublished Archive Document. THE NATIONAL ARCHIVES OF THE UK (TNA), (1939-1941). WO166/2507 226 HAA Battery War Diary. Unpublished Archive Document. Please help if you can. My father was a lieut.commander on HMS Hazard and later on HMS Seagull. Robert W. Ellis, RNR served on the Arctic convoys until D-Day,when 1st flotilla minesweepers left to operate ,sweeping the Beaches, prior to the Invasion, in Minesweepers. I would love to hear if you hold any information or photos, about either ship/and/or about” Bob” Ellis. 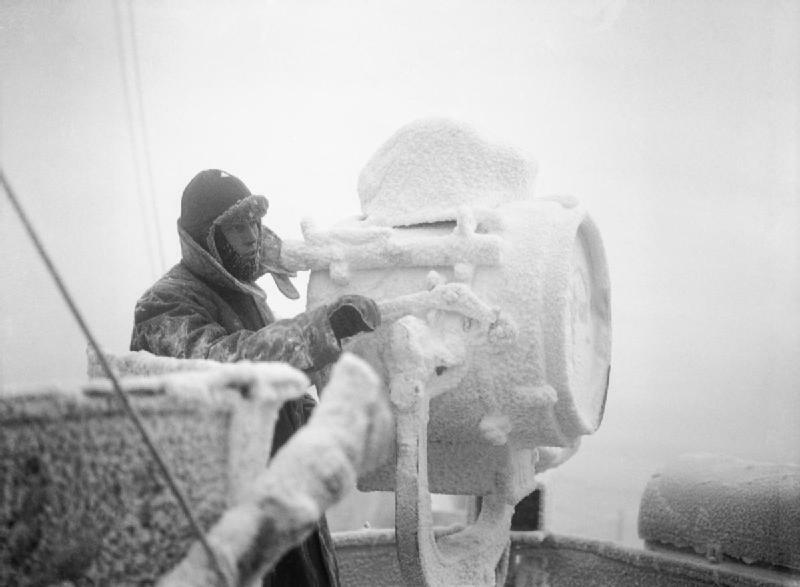 He was one of the longest serving RNRs in the Arctic waters. Thank you for your kind attention to my email.Carolyn Jones.